Negativity is bad for your health, a doctor once told me. And my life has had no shortage of negativity. So, to maintain a healthy, positive outlook, I start my day with a Psalm from the Bible and end it with a chapter from Lao-tzu’s Tao Te Ching. Chapter nine offered the following advice to attain serenity. Tao Te Ching, A New English Version by Stephen Mitchell, 1988. I won’t lie. This last week, my bowl brimmed over with frustration at the latest scandals – pertaining to Benghazi, the IRS, and the Associated Press – brought against our President by dissatisfied senators in the opposition party. A faction is calling for his impeachment. The more I learn about American democracy, the less I understand. Instead of tackling the problems crippling our nation, our elected representatives spend most of their time obstructing the decision-making process. Seasoned politicians seem to have learned how to flow with the current of dissent to get some work done. Perhaps, experience has taught them that obstructionists who keep sharpening their knives become irrelevant over time. Sadly, we the people suffer the consequences of their inaction. Chasing after money and security is the privilege of the rich. With federal budget sequester cuts of about $85.4 billion, slated for this year, austerity is reserved for the low-paid, underpaid, unemployed, and retired working class. Money is scarce. Insecurity is a way of life. Our recent failure to pass common sense gun control laws exposed senators who are prisoners of campaign donors, stifling their freedom to act in the interest of their constituents. Disapproval would end their political career. Doing what is morally right takes courage. We have to be prepared to stand alone, to lose friendships, to lose our job. Shunned by our peers. While our senators played political games of positioning for future elections, instead of doing their jobs, the carbon dioxide levels in the atmosphere broke a three-million-year record (NOAA Release, 10 May 2013). The average daily level has now surpassed 400 parts per million. 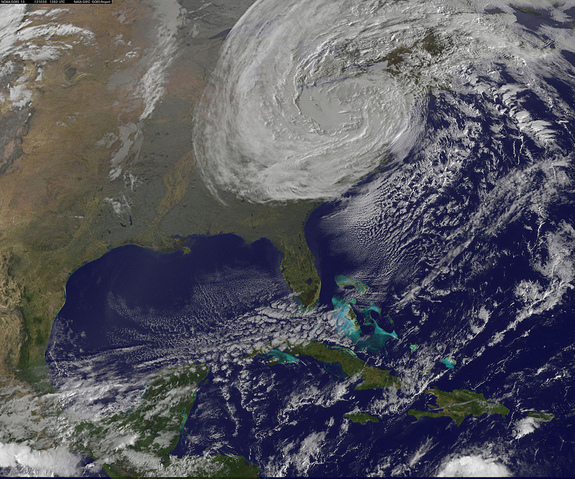 More calamities, like Frankenstorm Sandy, await us. Lao-tzu said, Do your work, then step back. Our President appears to have a head start in this regard. Some political commentators accuse him of lacking forcefulness in handling the latest scandals. Who knows the minds of our leaders? We must remain engaged in these matters that govern and affect our lives. We must each continue to do our part to bring about the changes we need. One step at a time. One day at a time. With the prospects of greater austerity, insecurity, and calamity, I will definitely need a good dose of serenity. Although I am no expert in Eastern philosophy, I have been struck by the similarity between some of the Zen teachings and the Stoic philosophy of people like Epictetus, Seneca, and Marcus Aurelius. I share the concerns that you’ve described. And, as always, there is an understated eloquence to your writing, Rosaliene. Thank you. Dr. Stein, thanks for reading my post and for sharing your thoughts. As a writer, I appreciate your comment about my writing. Few realize that Rome was a democratic republic until the Roman senate became an empire by electing Julius Caesar as dictator for life. Our leaders are intentionally taking us down the very same path the Romans took and it is only a matter of time before the US of A shares meets a Similar fate. David, I’ve observed that, as individuals, we oftentimes don’t learn from the errors of others and suffer the same consequences. The same happens at a national level when our leaders ignore lessons from former empire builders, as you so rightly point out. Life is a cycle of birth, death, and new birth. History teaches that this cycle also applies to nations and civilizations. I fear that while we are all in need of serenity to survive, one step at a time and one day at a time are not good enough for our planet and for so many of its dependents – including us – yet, we must persevere and give each other the moral strength to continue. I agree with you that small steps are not enough at this stage. But in the face of a government that’s dragging its feet along the edge, it’s all that I’m able to do. It’s really all that most of us can do, Rose – my hope is that enough of us will take those steps so that our sheer numbers will have effect.